We have some great events here at our Santa Monica Location. Be sure to check them out and don't forget to purchase a ticket! • McAdam’s extra sharp cheddar soaked in Miller High Life atop a slice of seven-grain bread and paired with Corsendonk Apple White. This is a nice, casual way to spend an evening and beer and grilled cheese sandwiches indeed make good pairings. Also, Andrew is happy to answer any cheese, beer or just general food and wine related questions all night and he definitely is a fountain of information. Check out our calendar for upcoming dates, or email us to get on the list for the next event so you can join us and see what the excitement has been all about! The cost is usually $60 (plus tax) per person. In our Cheese 101 course Andrew teaches the history, origin and the basics about cheese. We also have many of the most famous cheeses available to sample accompanied with beer and wine, or you can bring your own to drink! The cost for the class is $40.00 (plus tax). The class is about 1 & ½ hrs. long, and Andrew will have you laughing the whole way through! Super date idea, for you or your friends! If you would like to schedule a private Grilled Cheese and Beer Night for your friends and family, please let us know and we’ll be happy to find a date and go over the details with you. Price per person is the same as a regular event ($60.00 plus tax) and there is a minimum of $600.00 for a private event. 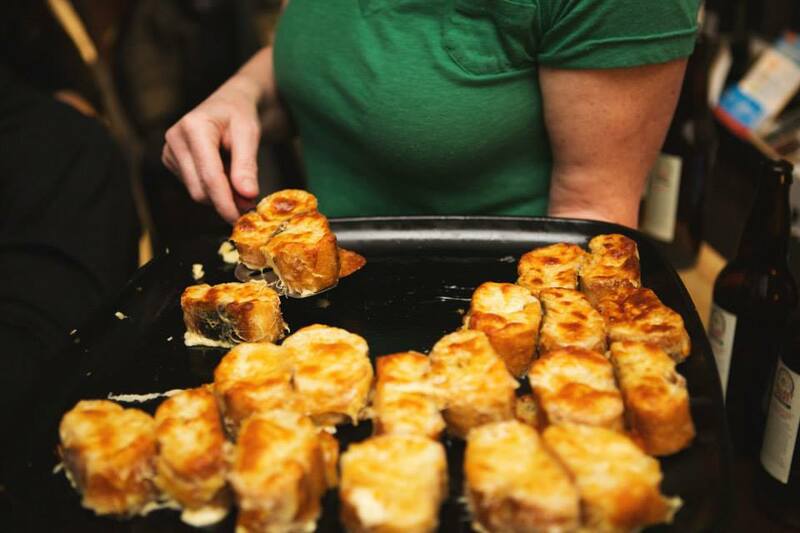 If you don’t wish to have a Grilled Cheese and Beer Night, but have another plan in mind for your private event, please contact us so we can go over the details with you.